Large single-family house "Chaletthis property", 2 storeys, built in 1973. 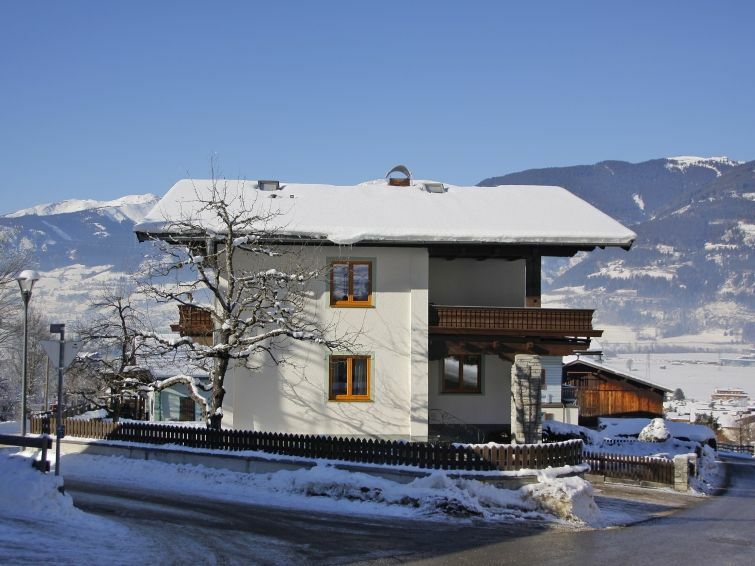 On the outskirts, 800 m from the centre of Kaprun, in a quiet, sunny position, 5.7 km from the lake, 350 m from the skiing area. Private: natural state property 800 m2, garden, lawn for sunbathing. In the house: storage room for skis. Motor access to the house. Shop 750 m, grocery, supermarket 900 m, shopping centre 6 km, bakery 800 m, bus stop 5 m, outdoor swimming pool 650 m, indoor swimming pool 2.4 km, thermal baths "Tauern Spa" 2.4 km, bathing lake 5.7 km, lake Zeller See 6.6 km. Golf course (18 hole) 5.4 km, chair lift 1.2 km, skisport facilities 1.2 km, slopes 1.2 km, ski rental 1 km, ski bus stop 5 m, ski school, children's ski school, ski-kindergarten 900 m, sled run 1.2 km. Nearby attractions: Stadt Salzburg. Well-known ski regions can easily be reached: Maiskogel, Kitzsteinhorn, Areithbahn. Well-known lakes can easily be reached: Zeller See. Neighbourhood highly sensitive to noise. Quietness and good behaviour expected. The owner does not tolerate over-occupied, even for babies. 10 people + a child's bed are accepted. 1 garbage bag per week is includet. Each bag more is 10€ on spot. 7-room house 332 m2 on 2 levels. Spacious, cosy furnishings: entrance hall. Living room with cable TV. 1 double bedroom. Kitchen-/living room (4 hot plates, dishwasher). Bathroom, sep. WC, double hand-basin. Upper floor: 2 double bedrooms, each room with shower/WC. Exit to the balcony. 1 room with 1 bed and shower/WC. Exit to the balcony. 1 room with 1 bed, 1 double bed and shower/WC. Exit to the balcony. Sep. WC. Large balcony, patio. Beautiful view of the mountains and the countryside. Facilities: Internet (WiFi, free). Reserved parking (4 cars) at the house. Please note: suitable for families. Non-smoking house.